In 1903, the Paris-based watchmaker Edmond Jaeger challenged the Swiss manufacture LeCoultre & Cie., managed by Jacques-David LeCoultre, to develop and produce the ultra-thin movements that he had conceived. The collaboration gave rise to a collection of ultra-thin pocket watches, including the LeCoultre 145 Calibre, the flattest mechanism of its time with a thickness of just 1.38 mm, produced from 1907 until the 1960s in 400 copies. The alliance between Swiss precision and Parisian luxury intensified and proved so successful that, less than 20 years later, the brand became known under the double-barrelled name of Jaeger-LeCoultre. The new Master Ultra Thin 1907 (ref. 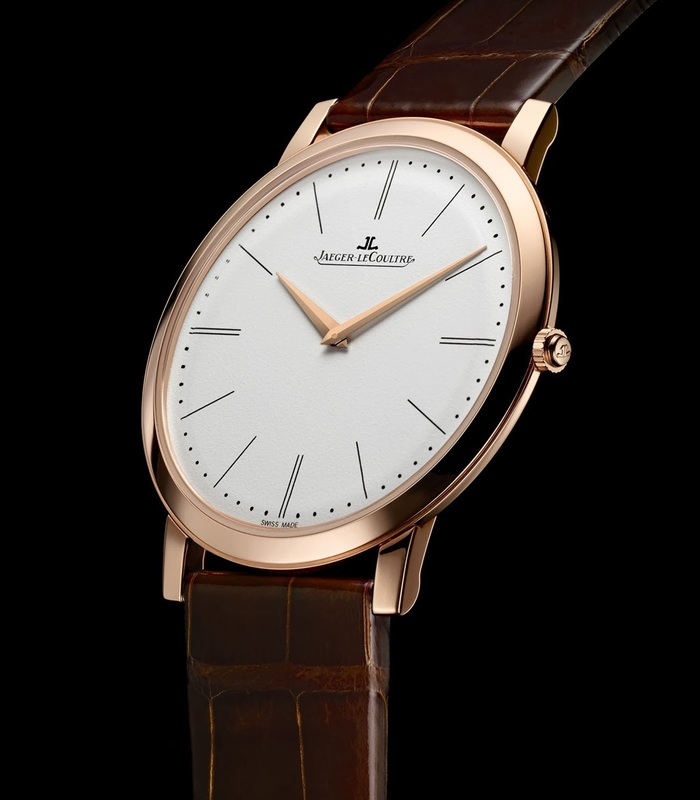 Q1292520), introduced by Jaeger-LeCoultre at the SIHH 2014 this year, celebrates the tradition of ultra thin watches of the Grande Maison. Just 4.05 mm thin, the pink gold case of the Master Ultra Thin 1907 watch is shaped like a knife-blade to ensure en even thinner profile. The 39 mm case houses the manually-wound Jaeger-LeCoultre Calibre 849 crafted, assembled and decorated by hand in the complications workshop of the Manufacture. It comprises 123 parts, has a 35-hour power reserve and is equipped with a balance beating at the frequency of 21,600 vibrations per hour. The minimalist dial of the watch features two dauphine-type hands over the grained white dial punctuated by baton-type hour-markers that are doubled at 3, 6 and 9 o’clock. The minutes dots between two hour-markers are dusted with pink gold. 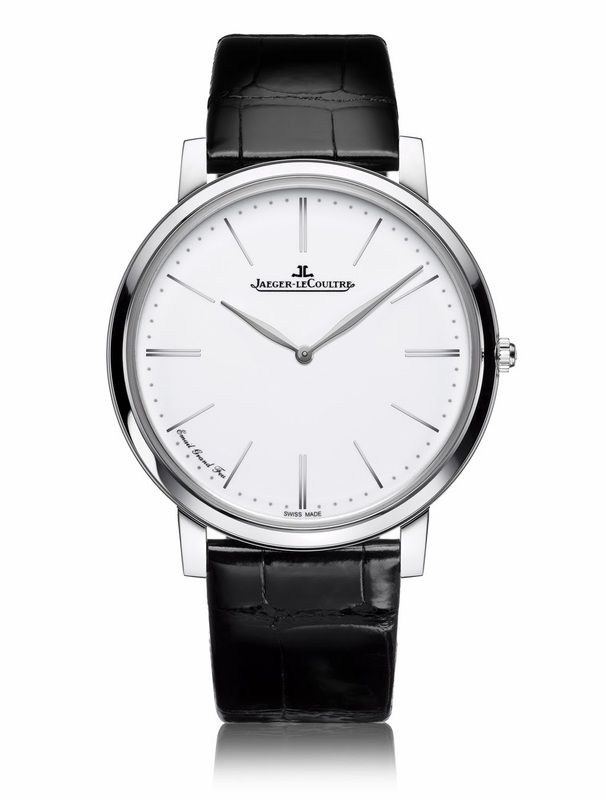 Driven by the same ultra-slim movement, the Jaeger-leCoultre Master Ultra Thin Grand Feu (ref. 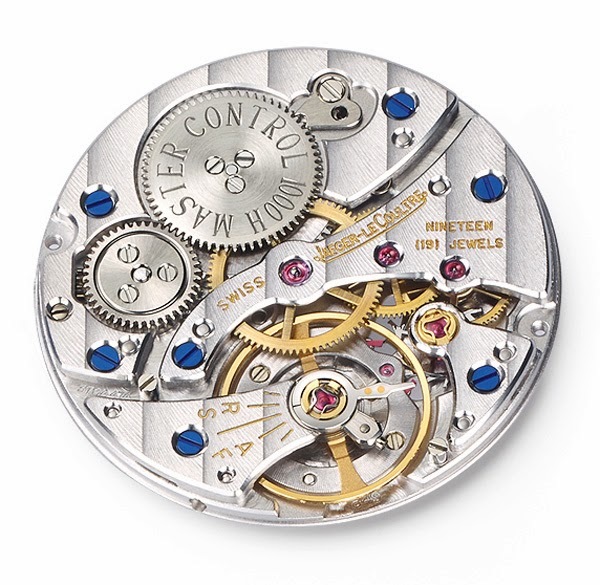 Q12935E1) features a white gold dial created using the traditional Grand Feu enamelling technique, which involves firing the watch face meticulously coated with successive layers of enamel at very high temperatures generally ranging from 800 to 900 degrees Celsius. 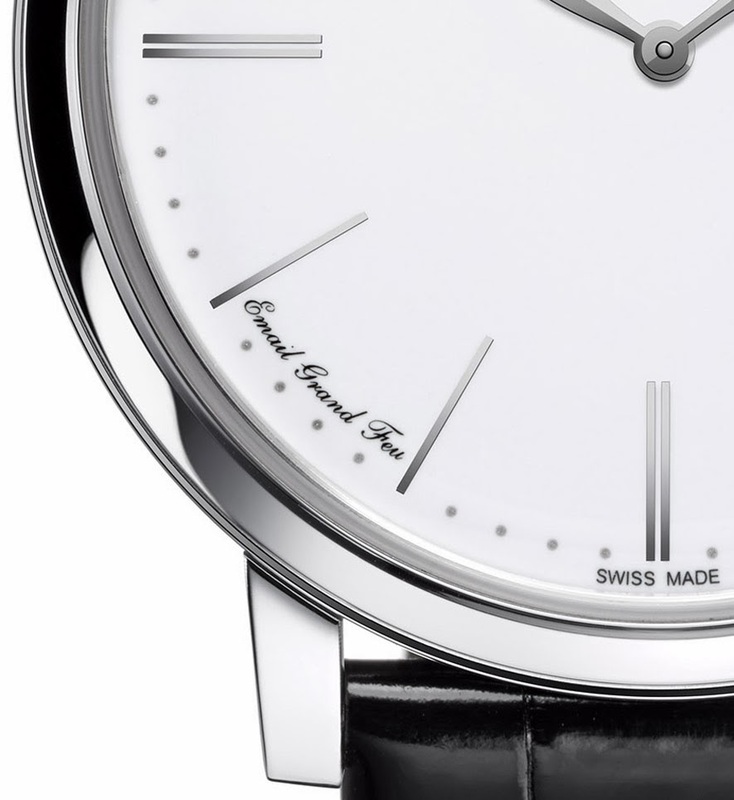 The inscription “Email Grand Feu” appears between the 7 and 8 o’clock numerals to remark the preciousness of this dial, completed by rhodiumed leaf-type hands. The case of the Master Ultra Thin Grand Feu, crafted from white gold, is slightly thicker than the Master Ultra Thin 1907 (5.04 millimetres) in order to accommodate beneath the sapphire crystal the various enamel layers applied to the dial. Both models come with an alligator leather strap secured by a pink or white gold pin buckle. Indicative retail prices without taxes are 12,500 Euro for the Master Ultra Thin 1907 and 27,000 Euro for the Master Ultra Thin Grand Feu. The new Master Ultra Thin 1907 (ref. Q1292520), introduced by Jaeger-LeCoultre at the SIHH 2014 this year, celebrates the tradition of ultra thin watches of the Grande Maison. Just 4.05 mm thin, the pink gold case of the Master Ultra Thin 1907 watch is shaped like a knife-blade to ensure en even thinner profile. Driven by the same ultra-slim movement, the Master Ultra Thin Grand Feu (ref. Q12935E1) features a white gold dial created using the traditional Grand Feu enamelling technique.